Universal bike lanes: the only way to mass cycling? Study says vast majority of Britons won't cycle on urban roads as they are now. So what's the answer? A major academic study has spent the past couple of years looking in depth into why people cycle (or don't cycle) in four English towns. I won't go into the research too much here, simply as I've written a separate news story on it, which will be up soon - I'll link to it when I can. 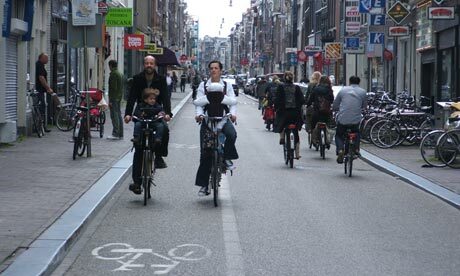 Read more about Universal bike lanes: the only way to mass cycling?